The world’s largest LEGO Titanic ship went on display at the Titanic Museum Attraction in Pigeon Forge, Tennessee on Monday. 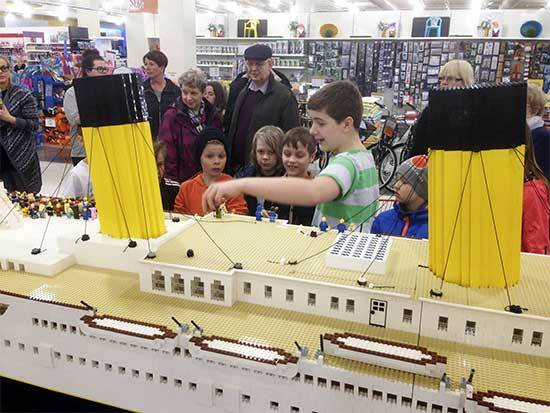 Brynjar Karl Birgisson, hailing from Iceland, built the 26 feet long, 4 feet wide, 5 feet high Titanic replica when he was 10-years-old with the help of his mother and grandfather. 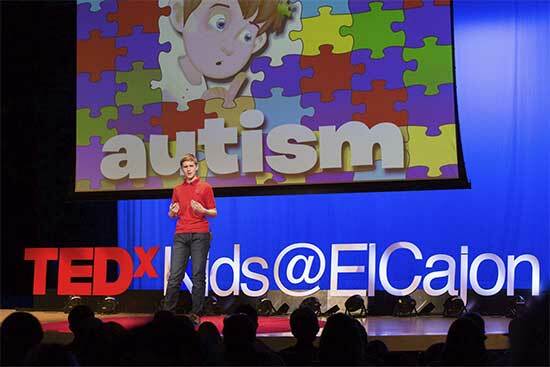 Young Brynjar’s inspiring story has already generated wide, international attention, media coverage, a popular children’s book as well as appearances on television and on TEDx TALK. The Titanic LEGO ship was built using 56,000 LEGO bricks and about 120 tubes of crazy glue; the project took about 11 months or approximately 700 hours to complete. The cost for the building bricks and other supplies was funded with money raised through crowdfunding, books sales and sponsors. The LEGO group in Denmark subsidized the endeavor through discounts on purchases, and some of the LEGO bricks were donated. The teenager has spent the last five years following the replica around the world as it travels to different exhibitions, from Norway to Germany. 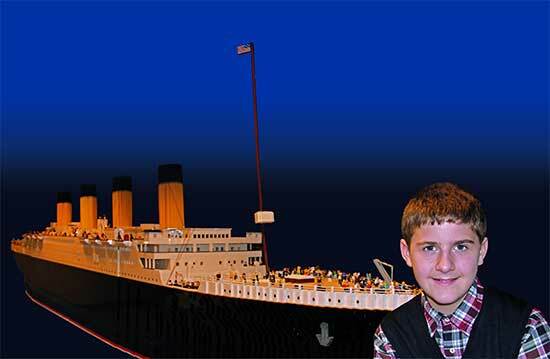 Visit www.titanicpigeonforge.com for more information on the Titanic LEGO ship and other current exhibits. You can also keep up with the latest on Brynjar Karl Birgisson on his Facebook page.